Black and white postcard by the Digital Computer Museum. 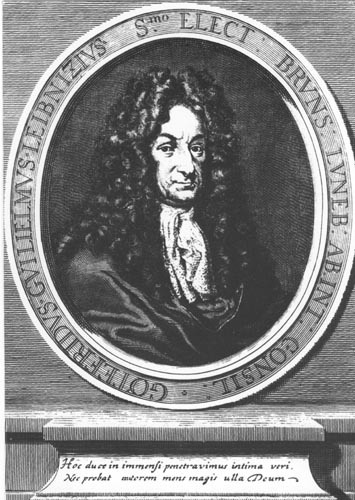 Verso Metadata: " Gottfried Leibniz (1646-1716) The great philosopher and mathematician invented a stepped-wheel device that became the basis for automatic calculators." Verso bottom "Photo courtesy of Bettmann Archive" Recto has portrait of Leibniz with Latin inscriptions.